If you are a fan of American Football, you might probably know that nothing causes a stir quite like making people agree on the best football team of all time. This is understandable considering that each fan seems to hold a unique opinion. For a long time, Elo ratings have been used to help figure out the greatest teams in history. This method relies on a credible formula. Based on Elo, here are some of the best teams to feature in NFL. This is not to suggest that list is cast on stone. Read on! 2007 New England Patriots are considered to be the best team in NFL history based on Elo rankings. As much as they did not manage to win the Super Bowl, it is worth noting that this lot finished the regular season having won all of its 16 games. They also averaged 38.6 points per game. Another Special team in NFL history are 2004’s New England Patriots. This lot is remembered for winning the Super Bowl in 2004. It worth noting that this team won the club’s third Vince Lombardi Trophy in the same year, thus establishing themselves among the all-time greats. A 14-2 record was enough to make the Denver Broncos win the league in 1998. 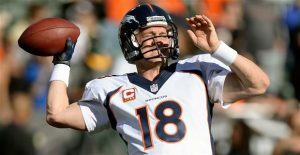 This team is credited for setting most of Bronco’s records like numbers of wins, wins in a row, most overall scoring points, and it also managed to win back-to-back Super Bowls. The 1989 San Francisco 49ers are a special lot as far as the NFL history is concerned. This team managed to win the Super Bowl in 1989 by crushing the Denver Broncos by a score of 55-10. This team also managed to finish the league in first place with a fantastic record of 14-2, and averaging 27.6 points per game.